Inhabitants of Melbourne live a very urban live style and have a very specific housing scheme and structure that sometimes can be complex and time consuming to incorporate. Take for example your plumbing needs, with respect to gas plumbing to be more precise. To be absolutely safe as natural gas is extremely flammable, special precautions should be taken while installing gas fitting from scratch in your new home. Smelling gas and don’t knowing where it’s coming from is a scary situation to be in. Natural gas leaks are a very serious matter. They can happen anywhere in the piping system of your home, even from under your building’s base or foundations. Gas leaks in underground piping and house foundations which are too small to pose an explosive hazard may still affect vegetation, causing the decline and death of lawns or trees. Did you know that it’s illegal in Australia to do any gas fitting work if you are not licensed or registered to do so? Gas needs to be treated with respect so if you suspect a leak, protect your home, your family, and yourself, by always calling a professional. Luckily finding the right professionals to take care of the job isn’t a really hard task considering they’re just one click away. You can find a decent team of experts for your in house gas fitting and plumbing in Melbourne at affordable costs. 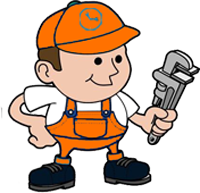 There are a number of gas plumbers in Melbourne that provide emergency services in case of a gas leak. Gas leaks can be potentially fatal to the residents of the home. That sulfuric, rotten egg stink that is a sign of a gas leak isn’t a regular element of the carbon and hydrogen compound. Because of the potential danger associated with natural gas leaks, suppliers add the noxious scent to natural gas as an olfactory warning that the harmful vapours are loose in the air. It is specifically added for leak detection purposes. Natural gas has become a widespread energy source because it’s highly combustible, which means that it can produce large amounts of heat when you burn small amounts. Consequently, an accidental leak of gas can increase the risk of fire and explosion since it spreads quickly and combusts easily. An electrical spark or fire source can set this off if you have a leak in your house. If you suspect a gas leak, then you must find an emergency gas plumbing service in Melbourne. Always make sure they are installed by an accredited Safe Gas Plumber, and make sure you check them on a regular basis for signs of wear and tear. Likewise, if they do require maintenance, make sure your gas plumber is registered with the authorities in Australia. You should also buy an audible carbon monoxide alarm in your home. These are cheap to purchase and look just like regular smoke alarms. Make sure they are installed in an open space, and check the batteries at a regular interval. Why hire a Licensed Gas Plumber Melbourne? It’s always appropriate to hire a licensed gas plumber to install the new gas appliances that you just bought. This way, you’ll be sure that your new appliance is correctly fitted, and a licensed gas plumber in Melbourne a may also give you a certificate to ensure that the legitimacy of the appliance’s warranty. So it’s a double win. Some gas plumbers in Melbourne have the latest gas fitting equipment, including highly sensitive diagnostic equipment with the ability to pinpoint even the smallest leaks, and also conduct Carbon Monoxide Safety Checks. So although a good gas plumber will charge you accordingly, it’s better to be safe than sorry.